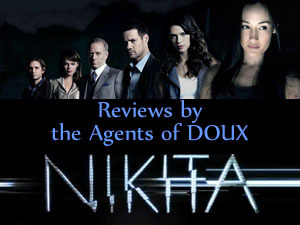 Nikita (2012-2013) was a reboot/spin off of Luc Besson's movie La Femme Nikita and the Canadian television show of the same name. Leading the show are Nikita and Michael, who bear little resemblance to their original counterparts. 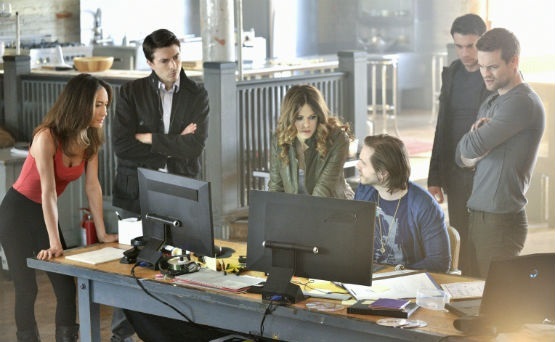 There are a few slightly altered characters: Birkoff, Percy (Operations) and Amanda (Madeline), and several new characters: Nikita's young protege (Alex), a dangerously unstable assassin (Owen), a former Navy Seal (Sean), and a CIA agent in over his head (Ryan). Despite its low ratings, Nikita was consistently good, even though it had its share of questionable plot developments. Reviews up until "Broken Home" were written by Nadim – here is a link to his site. The remainder were written by J.D. Balthazar.